31/8/2017: Last places available for travel and living scholarships for undergraduate or graduated students from Argentina (living 100km away from Buenos Aires). 30/8/2017: CELFI scholarships has been assigned. 1/8/2017: CELFI call for full support scholarships now open, submittion deadline is 13/8/2017. More info at Registry. 16/11/2016: Computer Science Department (FCEN, UBA) supports the HPCCamp/ECAR 2017 event. The administrative process to declare the courses as elective has begun. 11/11/2016: SNCAD - Sistema Nacional de Computación de Alto Desempeño (National System for High Performance Computing) granted funding to partially support this event. Last places for undergraduate or graduate students from Argentina (living 100km away from Buenos Aires). Check Registry. From 18/9/2017 to 29/9/2017 in Buenos Aires city, Argentina. All day courses and activities. The need for computing resources is still growing. The size and complexity of computational infrastructures pose a significant threat to day-to-day scientific work. Expert: the person who knows all the details of the problem to be solved. Programmer: knows how to write an efficient program, has a deep understanding of the details of the underlying architecture and how to take advantage of it. System Administrator: often forgotten, this practitioner is a key actor. He or she needs to interact with programmers and scientists, getting the computational infrastructure online and ready to obtain answers, usually helping others to make their applications more efficient. Keep assistants up-to-date with state-of-the-art tools and techniques. There are three tracks designed for each of the main profiles in the HPC field. Hold an “HPC Challenge” to gather participants with complementary profiles and make them work together. The key idea is that each participant can contribute to the solution from their own perspective and background. With the combination of the challenge and proposed intensive training, this school will become a regional reference for the integration of different HPC actors, helping to integrate the community. 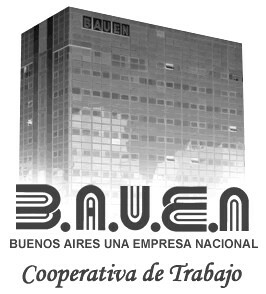 Bauen is a traditional hotel in Buenos Aires city. The installations and services provided in conjuction with a special discount (less than 50% of published price) for our event, this makes an excellent option. There are single, double or triple rooms. If you are student and don't have problems sharing the room, this is an opportunity you can't miss. To access this discount, you have to contact event organization. If you want to share the room with other students from the event (getting much better prices), tell us too. We have a number of places temporally secured, but confirming the booking will ensure them.